1. Employee – This user clocks in and out, tracks time off, and appears in timesheet and payroll reports. 2. 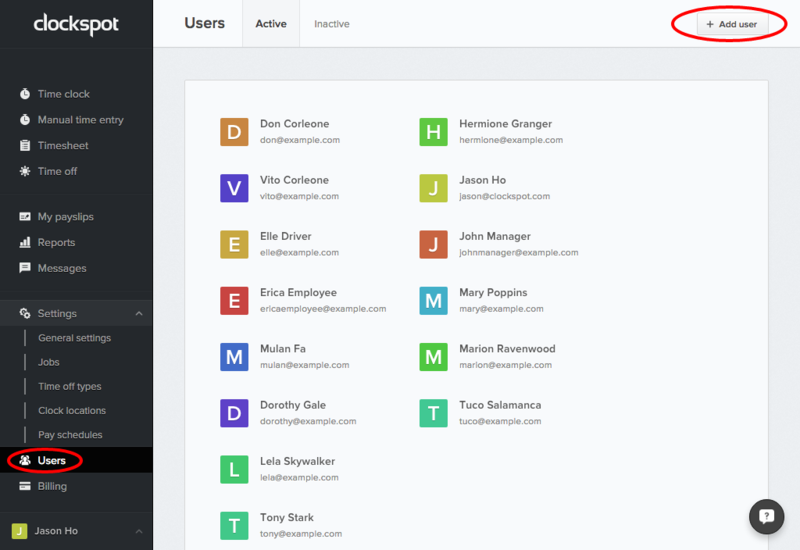 Manager – This user can manage other employees, correct the timesheet, and generate reports. 3. Owner – This user can grant and deny user permissions, update billing info, and change account settings. So for example, if you have a manager who will be clocking in/out, as well as managing other employees and correcting the timesheet from time to time, you’ll want to assign the Employee and Manager role to them. If you are the owner of the business, and you do not clock in/out and do not want to see yourself show up in reports, then you should only assign yourself the Manager and Owner roles.